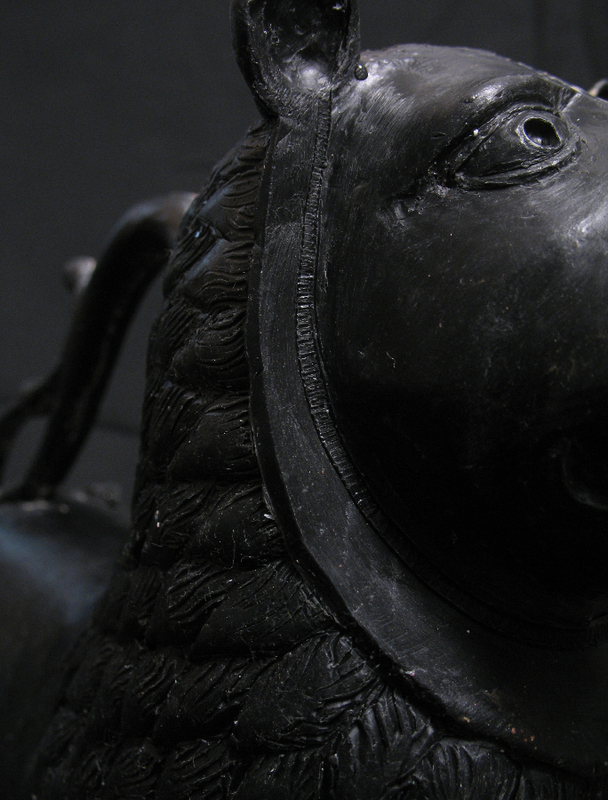 The lion aquamanile you can see here I modelled after the aquamanile from Halberstadt. It is to date one of the very few aquamaniles that is still in its original context (Mende 2008). Aquamaniles, somtimes also referred to asaquamanale, aquimanile, aquamnilia is composed of the the two latin words aqua, for waterr und manus, for hand. The term aquamanile was used differently in medieval times than today: it mostly referred to the receptables of the water in the form of dishes or bowl. In contrast the vessel for pouring water was called urceus, i.e. latin for ewer (Wolter-von dem Knesebeck 2008, 217). Aquamaniles were used for the ritual cleansing of the priest before the mass. Apart from this ecclesiastic use aquamaniles were also to be found in secular households of high social status where they were used before meals. During the last month or so I modelled this 13th century aquamanile and cast it in bronze in my casting workshop using the lost wax technique. 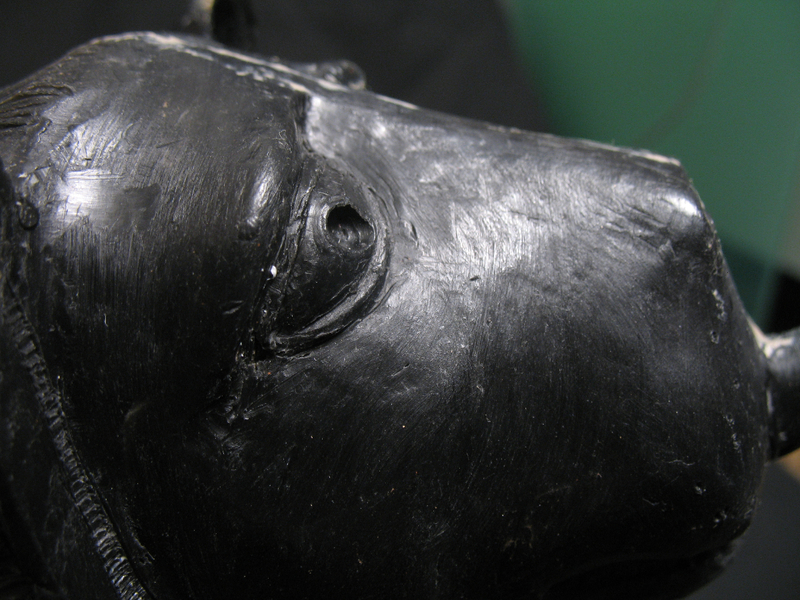 The model was made from wax and was prepared over a core of loam, just as it was described by the benedictine monk and artificer Theophilus Presbyter in his schedula diversarum artium in the chapter on the production of the cast incense burner. 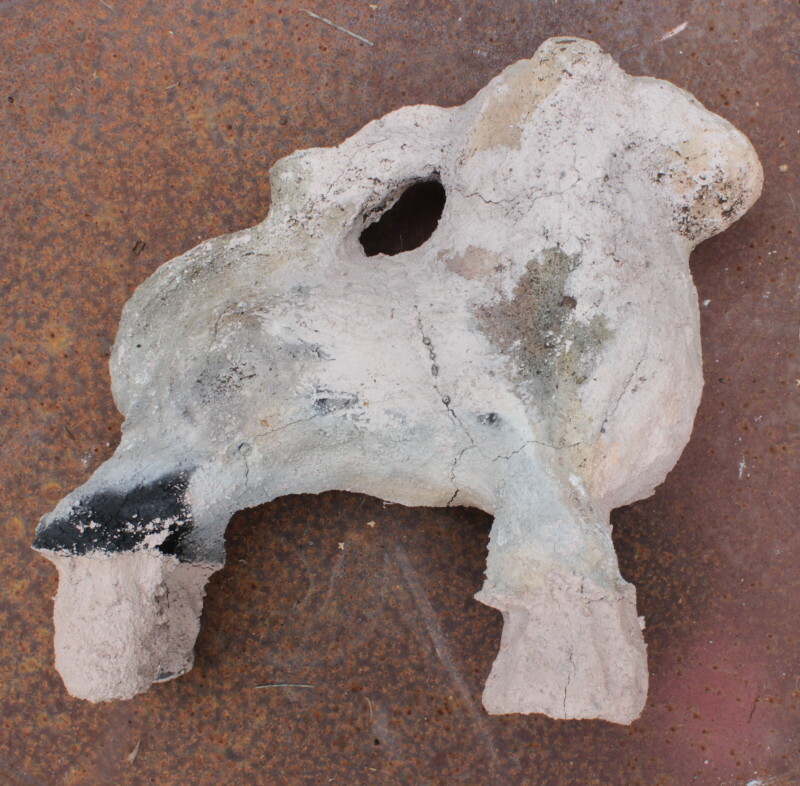 See here how the article on the casting of the aquamanile went in the reconstructed medieval loam mould. To this end wax plates were applied to the loam core. This is also described by Theophilus. 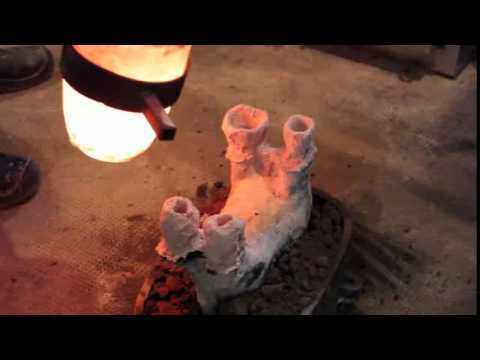 An alternative way to produce a wax layer of sufficient thickness would have been the repeated dipping into liquid wax. This however was not mentioned by Theophilus and therefore not used. 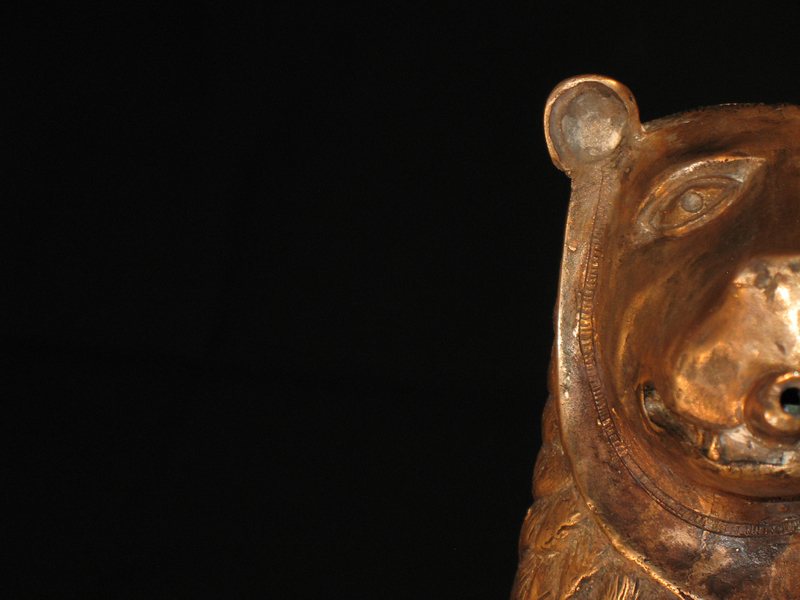 After the wax plates had been applied the finer details, such as the mane or the eyes of the lion were shaped. The aquamanile weighs 3,6 kg and holds 1.35 l of water. This reconstructed aquamanile may be seen in its original function at the events of the french re-enactment project Fief et chevalerie. Contact me if you would like to purchase this or any other aquamanile. Catalogue entry 52 in: Michael Brandt (Hrsg), Bild & Bestie. Hildesheimer Bronze der Stauferzeit. 378p. 2008. Harald Wolter-von dem Knesebeck 2008. Zur Inszenierung und Bedeutung von Aquamanilien, in: Michael Brandt (Hrsg), Bild & Bestie. Hildesheimer Bronze der Stauferzeit. 2008. Dies ist eine Neuschöpfung des mittelalterlichen bronzenen Löwenaquamaniles von Halberstadt. Das Original ist im Halberstädter Dommuseum. 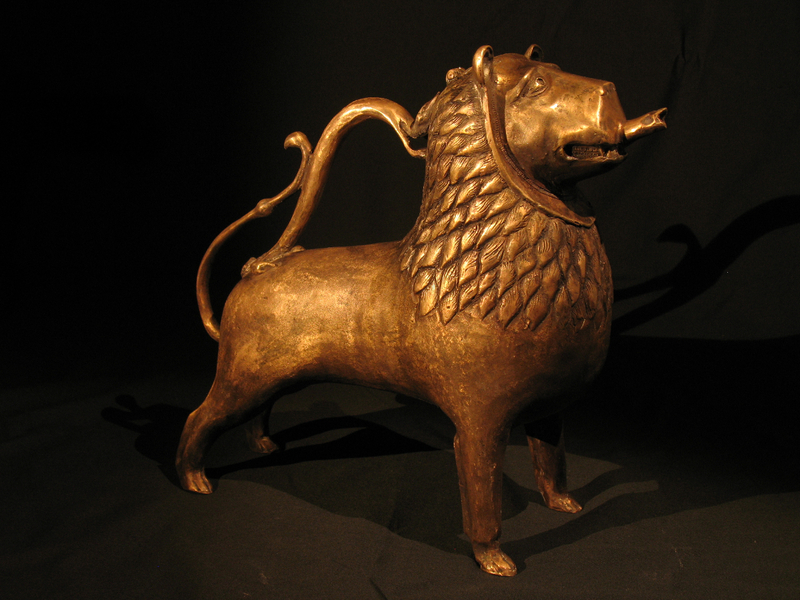 This is a lion aquamanile that was made after the medieval bronze aquamanile of Halberstadt. The original is in the Halberstädter Dommuseum.